New Bridge At Kazungula – At Last! Zambia and Botswana will start building a $259 million bridge in June to replace the ferry service between the two states, the chief executive of Zambia’s Road Development Agency said on Tuesday. Bernard Chiwala told journalists the contract would be awarded in Botswana on Monday. The bridge, which is expected to improve transport between the mineral-rich regions of Zambia and Democratic Republic of Congo and the port of Durban in South Africa, would be completed in four years, Chiwala said. The project is financed by the African Development Bank and the governments of Zambia, Botswana and Japan. The proposed bridge is some 75 kms from Livingstone. Business Report reports on a new railway – more for copper than for people I guess! Grindrod the listed integrated logistics service supplier reports it is to partner the Northwest Rail Company (NWR) in building, operating and maintaining a new railway line costing almost $1 billion in Zambia. The 590km Cape gauge railway will be built in two phases from Chingola in the heart of the old Zambian copper belt to the Angolan border. The opportunity for Grindrod’s wholly-owned subsidiary, Grindrod Mauritius, to work with Zambian company NWR on the project follows exclusive rights being granted to NWR by the Zambian government in July 2006. Enoch Kavindele, a former vice-president of Zambia and founder and owner of NWR, said he had been developing this project for a number of years and the synergies with Grindrod’s rail businesses made Grindrod an ideal partner in the joint venture and meant they would be able to bring this project into being in the shortest possible time. Kavindele said the project would create thousands of jobs in the country, in line with government policy. Grindrod’s rail division runs railways and builds, refurbishes and maintains locomotives and wagons, provides rail signalling systems and constructs and maintains track infrastructure. James Holley, the divisional chief executive of Grindrod Rail, said the division had spent the past few years developing its rail capabilities and growing its capacity to participate in the growth in Africa’s rail sector, which meant it was “perfectly placed to take up opportunities like this on the African continent”. “We also see great potential in creating an Atlantic gateway to central Africa through Lobito and look forward to playing our part in making this a reality with the development of phase two,” he said. The 290km first phase of the project extends from Chingola to the Kansanshi, Lumwana and Kalumbila mines and involves an estimated capital cost of $489 million. The $500m second phase will connect this line with the Benguela line on the Zambia-Angola border near Jimbe. Phase one is intended to service existing ore and finished copper traffic, while phase two is intended to open up a direct corridor to Lobito (picture), which would allow landlocked Zambia to import oil directly from Angola and to stimulate further mining activity in the western copper belt region. Construction is expected to start this year subject to the conclusion of the phase one bankable feasibility study. Just when we are considering adding an additional 5000 litre water reserve at Chanters Lodge – to make a total of 33,000 litres, this piece from NANCY MWAPE in Livingstone for the Zambia Daily Mail catches my eye! Note the paragraph that I’ve underlined. Now, do we believe them or do we go ahead with the additional tank? Considering their unfulfilled promises of the past we’ll probably go ahead! “Government has given K65 million (US$12m) to Southern Water and Sewerage Company (SWASCO) to help it stabilise water supply in Livingstone before, during and after the United Nations World Tourism Organisation (UNWTO) general assembly this month. And Government, through the UNWTO health and green local sub-committee, has procured a mobile diagnostic laboratory worth K46,000 for testing water in residential areas of Livingstone during and after the conference. SWASCO acting director of operations Gift Monde confirmed the development in a recent interview. Mr Monde said with the funds received from Government, SWASCO has installed equipment at Zambezi water intake to stabilise supply of the commodity in the tourist capital. “When the project is completed, we are assuring our customers in Livingstone that they will have a 24-hour supply of water. The project also covers highlands of Livingstone which are the worst hit by water shortage,” he said. Down Memory Lane To The Experience! Last Sunday on the most recent edition of our weekly radio show were delighted to welcome back Evaristo Webster Mutanga (pictured above and far better known to Livingstone residents as ‘Uncle Jumbo’), for the second time as a Guest on ‘The Chanters Lodge Experience with the Milli Jam Ingredient featuring Kaufela’. Uncle Jumbo (pictured above) is host of another long running show on Zambezi 107.7 fm – ‘Down Memory Lane’ where he shares his memories and his music with listeners to Livingstone’s leading local radio station. “What have you been doing since we last saw you on our show?” Milli Jam wanted to know at the top of the programme. Our Guest revealed that having retired some time back, he had been asked to resume work by Mulobezi Railways and was busy teaching their employees in the marketing department about passenger services and public relations. The teaching was being done at Mulobezi Station and he much enjoyed travelling out there by train from Livingstone. He also revealed that his weekly radio show had gone from strength to strength and had ‘stood the test of time’ – “just like yours” he added kindly. We missed Kaufela on this show who was busy with ‘family matters’ so the play list was all down to Milli Jam and I. MJ chose Chefy ft Roxy’s ‘Kopela Swag’ back to back with Macky 2 ft K’Millien’s ‘No More Love’. On the international scene he chose tracks from Justin Timberlake ft Jay-Z and Usher. My choices were from Duke Dumont ft AME and Chris Brown. Our oldie of the week was Roy Orbison’s ‘Oh Pretty Woman’ and our pick was Lana del Ray’s haunting ‘Chelsea Hotel 2’. We closed with Zonefam’s awesome ‘Sinjonjo’ currently zooming up the Zambian and African charts. Uncle Jumbo revealed that he had spent more than 30 years working for Zambia Railways in marketing and passenger services before his retirement. He had been educated at David Kaunda Secondary School in Lusaka leaving in 1971 (“the same year I came to Africa” I commented). He hails from Kasempa in North Western Province. He was proud of his seven children, especially Chomba and Leo both studying IT overseas, Chomba in London and Leo in West Germany. And too Nesbitt, the last born who had just scored a super 9 points in his Grade 12 exams. He was happy that Professor Clive Chirwa had recently been appointed to run Zambia Railways and all the staff were looking forward to much improved services on the railways in our country. He mentioned the days when tickets were issued for passengers to travel all the way from Zambia to Cape Town and those tickets included hotel accommodation as part of the journey! Our Guest greeted his niece Naomi and her son Mike, as well as neighbours Anne and Serviso. His phone buzzed through the show with call and texts from his fans, delighted to hear him on ‘the other side’ of the microphone – Milli Jam pointed out that Uncle Jumbo was one of the few of his generation in Zambia who had embraced modern technology. Asked where he would like to be and what he what he would like to be doing in ten years’ time his answer was:- “Don’t ask such silly questions my son Milimo, I shall be in heaven down memory lane”! Sweet! The Zambia Development Agency is looking for investors into fish farming on Lake Bangweulu (above). That’s one part of Zambia I have never visited, but by all reports and from photos, it is beautiful. Maybe I’ll get the chance one of these days! Anyway here’s the ad. Bangweulu Investments Limited is a Zambian company whose principal shareholders are chiefs from eight chiefdoms. The company intends to establish cage fish farming along Lake Bangweulu in Luapula Province. The project will be undertaken in two phases at an estimated cost of US$1.8-million for the first phase, and US$5-million for the second phase. The preferable mode of financing is through a grant. However, other types of financing are welcome. The purpose of the project is to create employment and wealth for the communities. Project location: The project location at Lake Bangweulu in Samfya District has easy access to domestic and export markets. Permanent water surface area of Lake Bangweulu is 3,000 square kilometres. Combined area of the lake and the wetland is 15,000 square kilometres. The current national demand of fish in Zambia stands at around 145,000MT per annum while the current national supply is estimated at about 85,000 giving a projected supply gap of about 60,000MT per annum. Demand for fish is strongly growing in Zambia in response to population growth (3.2% per year) and increasing urbanisation. It is estimated about 6,000 MT of fish is imported per year. Demand is likely to increase as fish is the cheaper alternative source of protein for families in Zambia. The population of fish has decreased across the country thus making cage fishing an attractive opportunity. Interested investors are encouraged to respond to this opportunity. This piece from Esi-Africa.com is good news for us poor consumers besieged by load shedding in Zambia. For those who have never been there, Lake Itezhi-Tezhi (above) is a beautiful place. “In December 2012 the African Development Bank (AfDB) signed an agreement with the Zambian government for a loan agreement of US$55 million to support the Itezhi-Tezhi hydroelectric power and transmission line project. This is seeing the construction of a 120 MW hydropower plant at the Itezhi-Tezhi dam along the Kafue River. 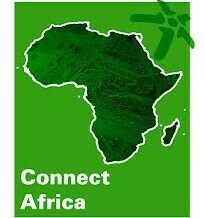 This loan was approved by the AfDB in June 2012. Meet Marcel and Julie Menard (above), Guests on the most recent edition of the ‘Chanters Lodge Experience with the Milli Jam Ingredient featuring George da Soulchild Kaufela’, our regular Sunday night radio show airing from 20.30 to 21.30 hrs on Zambezi 107.7 fm, Livingstone’s leading local radio station. Marcel and Julie hail from Canada, although from different parts of that vast country, but are currently based in Al Ain, United Arab Emirates. Marcel is a health, safety and environmental engineer working for Adnoc on a rig in the Persian Gulf – an operation that churns out a mere 300,000 barrels of crude oil every day! Julie was a nurse for most of her working life but subsequently retrained as a teacher. She recently retired from her job in UAE teaching English as a second language. The Menards were visiting Zambia by invitation of their friends the Bohling family who live in Kitwe on Zambia’s Copperbelt. They had originally met Jenna, Kyle, Sharon and Kevin in UAE and were delighted to come to Zambia to spend some time with them. During their visit to Kitwe Marcel had been taken 5220 feet down to the working surface of the Mopani copper mine – a trip he had found fascinating. The mine employs some 19,000 people. They had also spent time at Nsobe Game Camp 60 kilometres south of Ndola. They had been recommended to Chanters Lodge by the manager of Kafue Lodge in Ndola. Happy with their stay at Chanters? Yes they were. They described it as ‘cozy’ and ‘a great place to chill’. The music on the show was up to standard despite the dearth of new releases common at this time of year in UK and USA. We opened with our theme tune for 2013 – ‘Feel The Love’ from Rudimental ft John Newman. We followed up with Carly Rae Jepsen’s ‘Call Me Maybe’ which Marcel and Julie dedicated to their friends the Bohlings. Other tracks were from PSquare, Magg44 ft Karen, Exile ft K’Millian, LMFAO and Pitbull. The oldie of the week was MJ’s ‘Rock My World’ and the weekly prize of a dinner for two at the lodge to the first person to text us the name of the artist on the track was quickly snapped up! Our pick of the week was Timbaland’s ‘White Wedding’ and we closed with One Republic’s haunting ‘If I Lose Myself’. Marcel and Julie told listeners they had enjoyed lots of tourist activities while they’d been in Livingstone including the sunset cruise, a leopard, lion and cheetah encounter combo, linked with an elephant back safari, as well as a fabulous dinner on the steam train. Marcel had also taken a 15 minute helicopter flight over the Falls.The day of the show they had taken a one day safari to Chobe National Park in Botswana and had been lucky to see a pride of lions during the trip. They’d been amazed by the size and beauty of Victoria Falls which had surpassed all their expectations. Julie had described their steam train dinner activity as ‘very romantic’ and on being questioned this charming, happy couple revealed they had been married for 15 years. Julie has one son from a previous relationship. During their visit Marcel and Julie made a very generous contribution of education materials to a school at Mukuni Village and commented on the fantastic progress they saw near Chanters Lodge on road repairs in Livingstone. Asked where they would like to be and what they would like to be doing ten years’ from now, they said they had plans to retire to Malaysia when Marcel finished work in five years’ time, before eventually returning to Canada. During the course of 2012 at Chanters Lodge we are proud that we have managed to renovate 3 of our 11 rooms and some pictures of the renovated rooms are shown. The first room to come under the hammer was room 3. This room was one of the three original rooms with which we opened the lodge in 1998, and at that time was the best of the lot. It is a standard sized double room with one double bed but with enough space to pop in an extra three quarter sized bed if required. The bathroom was stripped and a new bathroom suite installed followed by complete re-tiling of floor and walls. The bathroom contains a separate shower cubicle which was also re-tiled. New taps and plumbing were installed throughout. The rate for this room next year will be a very reasonable US$75 per room per night including English breakfast, free transfers within Livingstone on arrival and departure if required, as well as free wifi (subject to availability). Single rate US$59 per room per night, inclusive as above. We have also renovated two of our spacious rooms which back on to Lukulu Crescent. These rooms were the first additional rooms we constructed, built in 2004 they have had a lot of wear and tear as they are often used by families with young children. The rooms are spacious enough to accommodate one and sometimes two extra beds and all that moving furniture takes its toll! The rooms renovated are numbers 4 and 7 on either end of the block, each have a double and a three quarter bed as standard. These rooms have shower and wc but no bath. They are ideal for Guests travelling with their own vehicles as cars can be parked right outside the rooms, motel style. We have replaced the old wash hand basin with a new pedestal basin with matching toilet and cistern in the shower rooms, as well as installing new taps and plumbing fittings. The shower rooms have been retiled throughout. In addition we have completely re-tiled the expansive bedroom floors. All rates are per room per night and include English breakfast, free transfers within Livingstone on arrival and departure if required, as well as free wifi (subject to availability). The rooms can comfortably accommodate 2 adults and at least 3 children in which case the rate will remain at US$99. A big thank you to Mr Turner (plumbing and electrical), Mr Benson (tiler) and Mr Andrew Phiri (carpenter and painter) who undertook the work for the lodge. As a matter of interest the total cost of renovations has been about US$10,000. During 2013 we hope to complete the renovations of the remaining two Lukulu Crescent rooms. We also hope to tile the floor of the restaurant terrace and install new furniture, fans and light fittings.